Rocky Mountain Power, a division of PacifiCorp, proposed a modification to its net metering program for Idaho customers by allowing a once-per-year transfer of financial credits between eligible meters, according to an April 9 press release from the Idaho Public Utilities Commission. The company said that current regulations do not provide for aggregation of accounts to apply net excess energy credits. 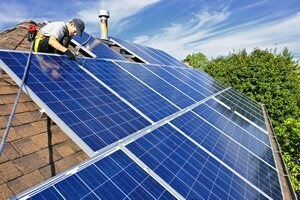 PacifiCorp’s net metering service, which began in 2003, allows customers with on-site distributed generation facilities, mainly rooftop solar, to offset part or all of their energy requirements and send surplus energy back on to the grid. Customers have been receiving financial credits for net excess energy on a monthly basis. The company said that a few customers recently requested for a transfer of credits to apply against their accounts for other locations. However, the program’s current configuration does not allow such transfers. Comments on the proposal are due by June 12.